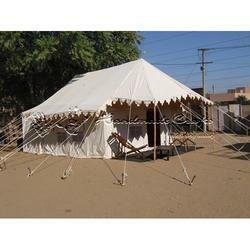 We are engaged in offering a wide range of best quality Shikar Tent to our clients. The materials that are used in creating our range of tents are carefully selected from credible vendors. Some of the attributes of our range of tents are water proof, durability and fire retardant. 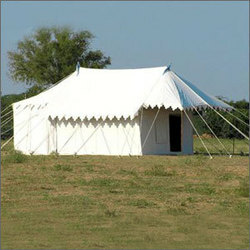 Our range of these tents is available in various designs, shapes and color combinations. 1. Spacious single fly single pole tent with detachable walls.